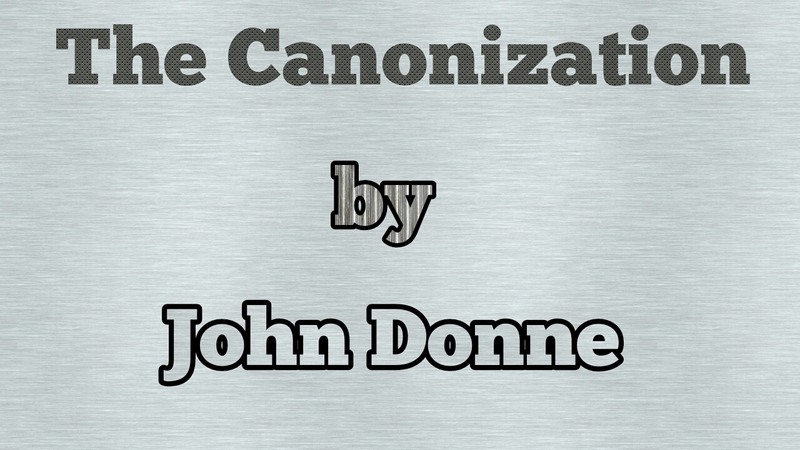 Home / Honours 3rd Year / John Donne / Poetry / Summary / Summary of "The Canonization" by John Donne. Summary of "The Canonization" by John Donne. The poet wants his friend who tries to discourage him for making love to keep his mouth shut and allow him to continue his love without any let or hindrance. 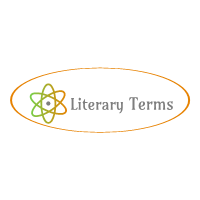 Just as it is useless for him to rebuke the poet for suffering from disease like paralysis or gout or baldness or infirmities like old age or his misfortune, in the same way it is equally futile for him to try to dissuade the poet from making love. Instead of wasting time in adviseing the poet , it would be better for him to improve his position by amassing wealth or cultivate his mind by acquiring knowledge or developing a taste for arts. He may undertake a course of study or secure a position at court and thereby get a chance of observing the grace and honour of the King. As a courtiers-hunters, he will watch the real face of the King (see him in his true colours) or he may enter business and make money and thus see the king’s image stamped on coins. Let him do whatever he likes but let him not disturb the poet in making love to his beloved. Alas, none Is harmed by his love making. His sighs have not drowned any Marchant ship. Hie tears have not caused any flood , the coldness of his tears has not prolonged the winter season or delayed the advent of spring. The heat of his passion has not added to the list of person who die of plague. The soldiers continue the fight the wars and the lawyers are busy in their litigation. In spite of his love , the normal life of the world continues as usual ( why should then anyone object to his love making). If the lovers can’t get immortality by their love , they can at least die for it. The story of their love may not be worthy of tombs and monuments, but at any rate it is good enough for the material of poetry. Their love may not be recorded in volumes of history but it will certainly find mention in sonnets and lyrics. Just as ashes of great men are preserved in an ornamental urn or in tombs covering an area of half acre, in the same way they will be respected by the world as canonized lovers (saintly lovers). Just as saints are canonized for the sake of love. Their love is pure and selfless. “You are the saints of love who made each other your pilgrimage, for each of you for the other was a world in himself or herself. For others love was a furious passion but to you love brought peace and bliss. You saw the reflection of the entire world in each other’s eyes . You performed the miracle of contrasting the world (within your eyes). In your eyes you saw the countries, towns and courts and thus saw a more meaningful world. Since you are the saints of love, we pray to God to fashion our lovr in your pattern so that we may also love as you did” .